Like many industries and institutions before it, higher education has seen an explosion in technical innovations and solutions in recent years. From enrollment systems to learning content, fundraising platforms, and more, the sheer number of tools available today boggles the mind. At the center of it all however, one type of solution has dominated the attention and budgets of colleges and universities: the learning management system (LMS). According to TechCrunch, an LMS is used to “plan, implement, and assess a specific learning process”. An LMS provides the backbone on which the workflow of education runs. Using an LMS, teachers can assign work, share content, and post grades while students can turn in work, view content, and collaborate on forums and with social-like features. While some learning management systems provide additional features including the ability to create educational content, that’s all besides the point. 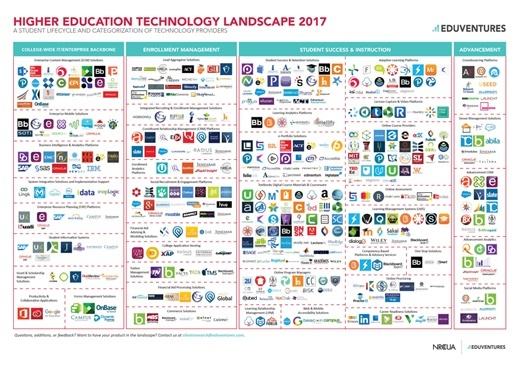 The trend, TechCrunch goes on to say, is that “most schools are no longer looking for just one system to manage the virtual classroom” and that leaves LMS vendors free to focus on what they do best: manage the process of education. Enable mobile access, a key feature as a study from Pearson found that eight in ten (86%) college students regularly use a smartphone and when asked about their future use of mobile devices in class, two in five (40%) students would like to use mobile technologies more often than they do now. On that same note, here are tips and strategies for reaching more students. In truth, there are as many features available as there are vendors. In the end, the LMS a college or university selects will be driven as much by price and complexity as by features. As we discussed above, there are many learning management systems in the higher education space. Here’s some of the top solutions, both paid and free. Blackboard has lead the premium LMS pack for a number of years now and you certainly get what you pay for. Fully functional, the vendor offers both a software as a service (SaaS) model and a non-SaaS model. The system integrates with an institutions student information system (SIS), and has a mobile platform that operates as well as the desktop. In addition to all that functionality, there’s a lot of officially and community created content available to plug into courses. 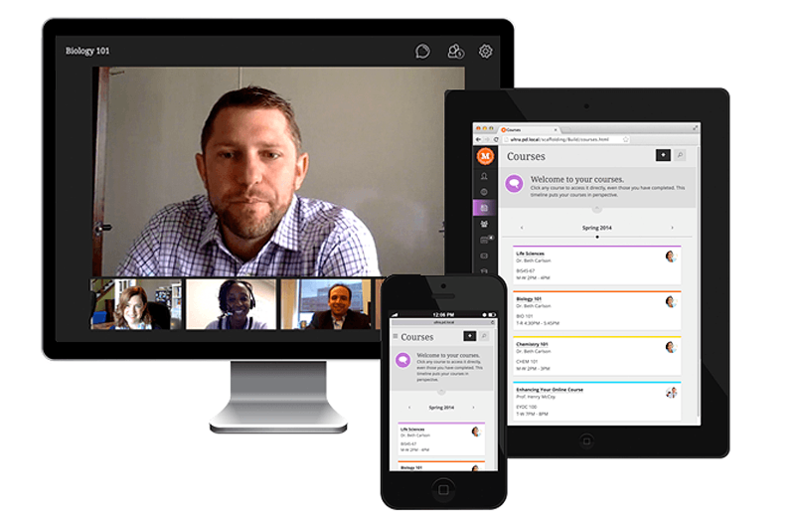 If that’s not worth the cost of entry, then Blackboard’s integration with Collaborate, an online web conferencing system that enables students to attend class virtually, is a compelling option. In all, Blackboard has everything you need in an LMS for higher education. 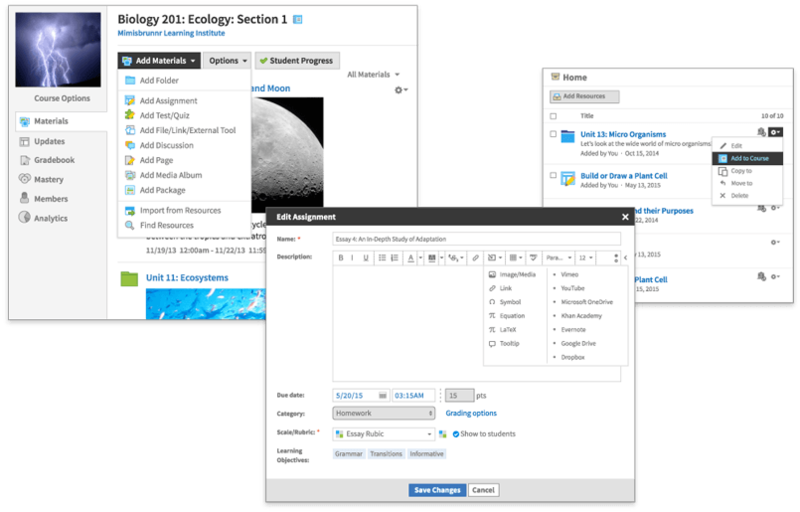 Schoology is another full-featured LMS. One area where it really shines however, is the number of built-in integrations it comes with out of the box. Everything from YouTube to Google Drive and Dropbox, you can use the tools directly within the system. Another area that the vendor focuses on is community. Calling itself “the only LMS that connects your campus” the solution enables students and professors to communicate across campus and across the world. 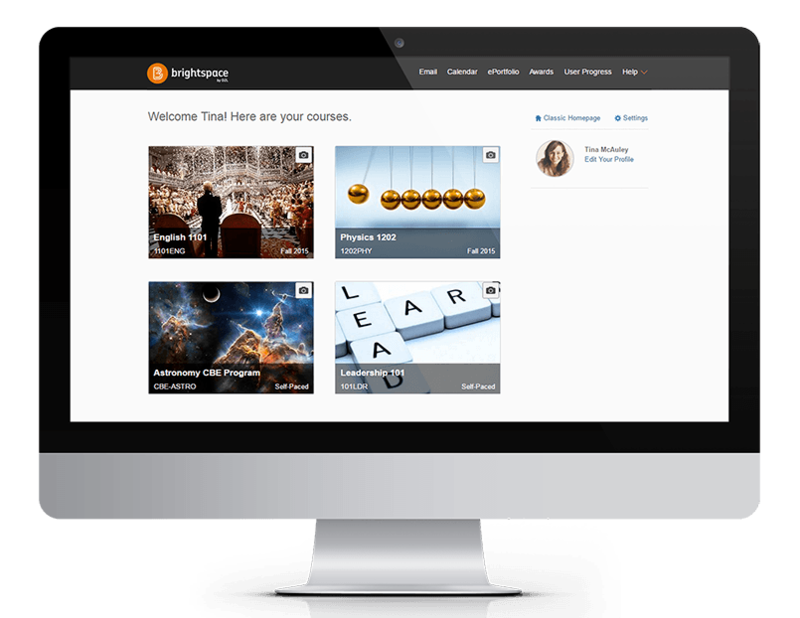 While Brightspace can have a steeper learning curve than the previous two learning management systems, it’s just as functional. One standout feature is Release Conditions. Using these, a professor can have content appear to a student only after certain conditions have been met such as turning in the materials from the previous lesson. The real power behind this solution however, is the fact that the company has been making learning management systems since 1992. They know their stuff and educators respect the insight and functionality the platform provides. 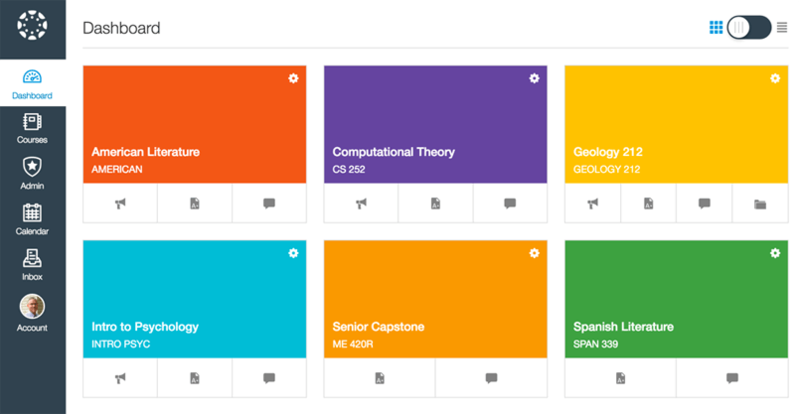 Boasting an easy-to-use interface, Canvas has recently been gaining traction with higher ed institutions. 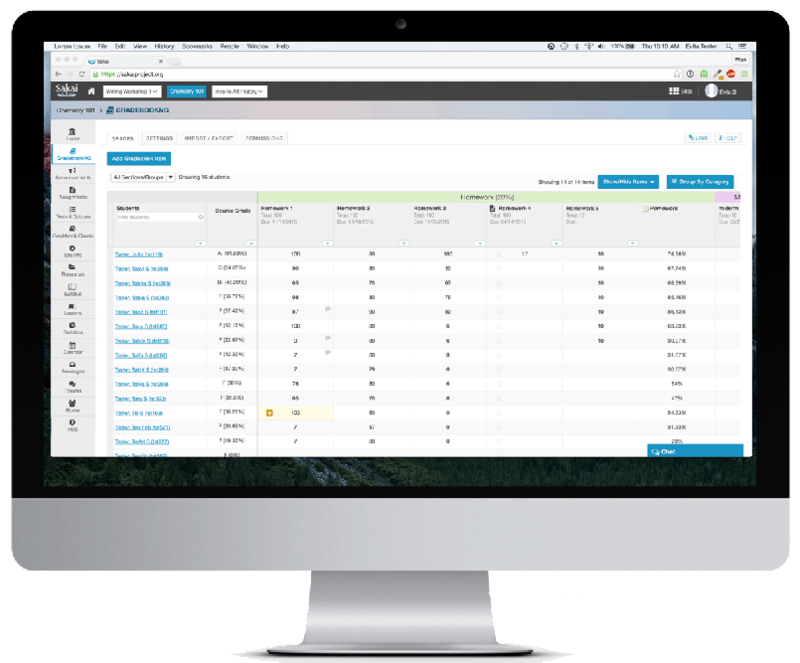 Another attractive feature: you can try the LMS for free. In addition to paid options, there are some long-standing open source (i.e. free) learning management systems in higher education as well. While these cost nothing up front, there is a cost on the backend: the time you need to spend setting them up and in ongoing management of the system. 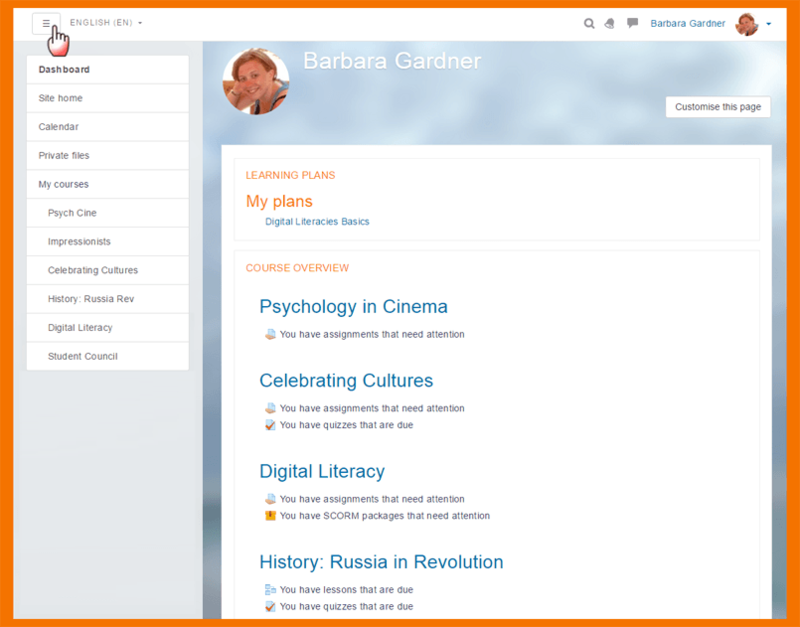 One of the most popular learning management systems around, Moodle boasts solid functionality. While not as pretty and easy-to-use as its paid competitors, it nonetheless offers everything a higher education institution needs. Moodle’s been around for a while and that brings a couple of benefits to the table. First, there are currently over 1,300 plugins available to extend the functionality of the LMS. Second, if you don’t want to go it alone, Moodle has a world-wide network of partners who are ready to help. Another open source LMS, Sakai is another popular choice among higher educational institutions. Bundled with a number of APIs and community features, you’ll find many of the features found in the premium options here. Not to be left out, the WordPress community has developed five plugins to add LMS functionality to the platform. 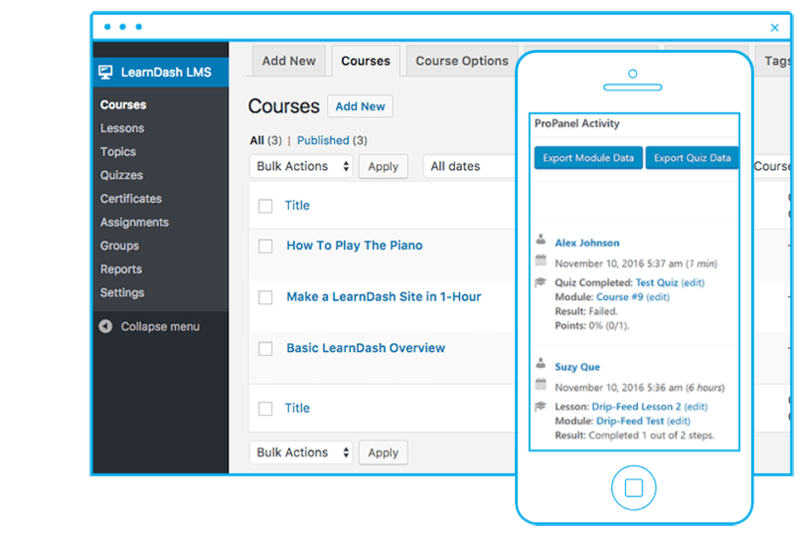 LearnDash is a premium WordPress plugin that adds robust LMS features to your website. The vendor also offers a number of extensions, each of which boosts the functionality of this plugin. Lastly, out of all the plugins in this section, LearnDash seems to have the most experience with learning management systems in higher education. LifterLMS also offers add-ons to extend it’s already solid LMS functionality. Used by well-known educational institutions and businesses alike, WP Courseware boasts many features and options for engaging students. Brought to you by the WooCommerce folks, Sensei is a light-weight LMS for WordPress websites. 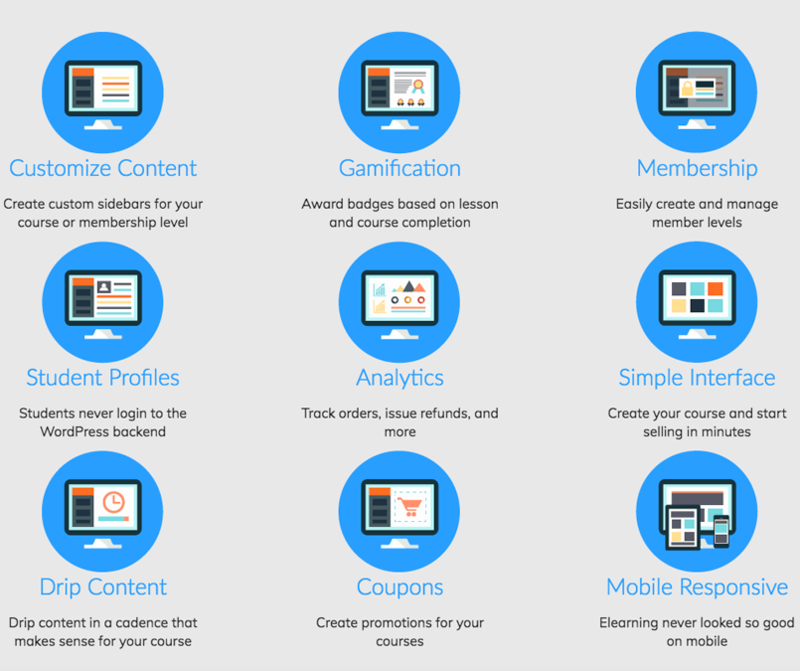 The only free plugin on this list, LearnPress is perfect if you want a basic LMS with the features you need. Whether paid or open source, you have plenty of choices when it comes to learning management systems in higher education. Built with APIs and other interoperability integrations, the LMS will continue to play a central role in higher education for years to come. Learn about how we can help to optimize your university website for speed, security and performance. A professional writer since 1991, Matt views content creation, whether it's text, image, video or audio (http://bit.ly/1OcSDvU) as both a passion and a calling.As a freelancer, Matt specializes in researching and breaking down complex topics so they can be understood by a variety of business-to-business (B2B) and business-to-consumer (B2C) audiences.In addition to content creation, Matt offers online marketing and lead generation expertise. He literally wrote the book on content marketing (http://amzn.to/1lpUYeN) and has 16+ years of experience in successfully driving targeted online traffic using content designed to increase both qualified conversions and brand awareness.